Sergers are great until you realize that you’ve sewn the wrong pieces together or four some other reason need to take out all the serged stitches. With for different threads knit together to form that stitch it can prove to be a nuisance! You might attack it with the dreaded seam ripper, try and carefully trim the stitches with embroidery stitches or if you have a generous seam just hack the whole thing off. 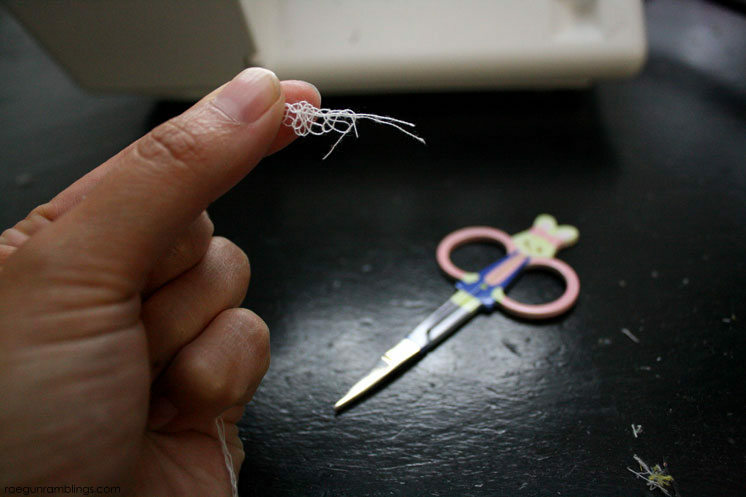 But today I’m going to share a way that you can easily make the stitches unravel with some careful attention. All you need to do is identify the needle threads. They are the ones that are making two rows of straight stitches. Separate them out and then gently pull on them. If you’re lucky you’ll be able to pull the length of the stitches once those are out the looper threads will simply unravel. If the stitches are particularly tight you might want to go through and snip them in intervals. That will take longer but it’s still LOADS faster than trying to do it with a seam ripper and it doesn’t leave the gazillians of loose tiny threads that snipping all along the stitches does. 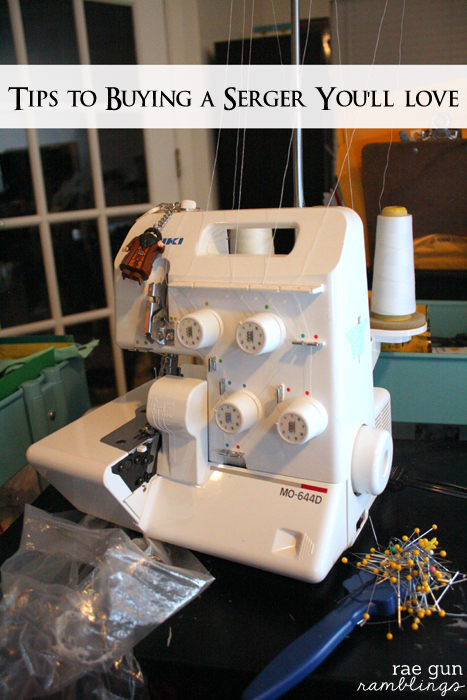 Want to know more about sergers or think you might want to buy one? 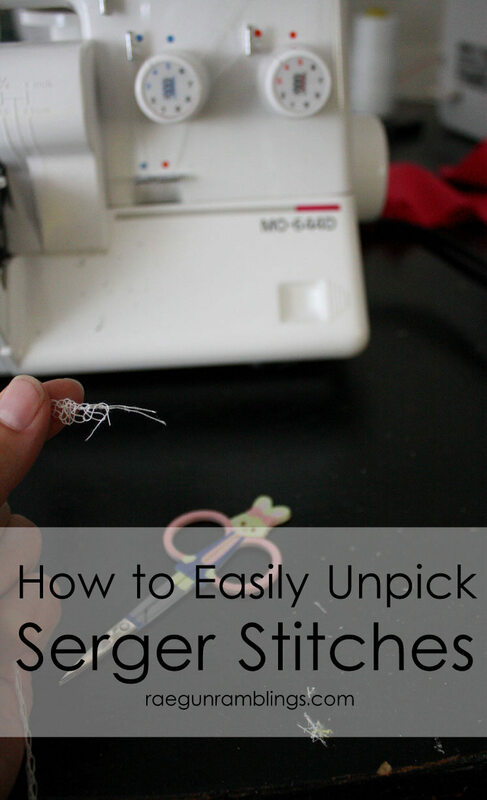 Here’s my tips on buying a serger and which I use! 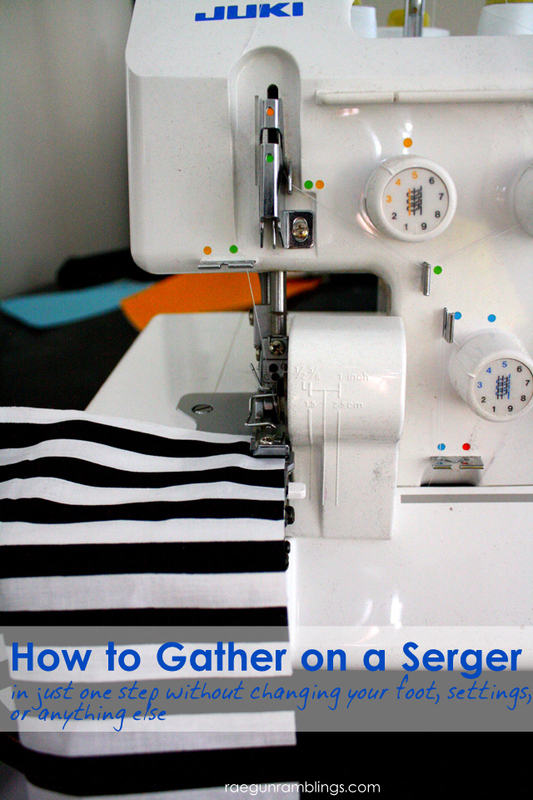 And don’t miss my super easy trick to for how to gather on a serger without using a special foot or even changing any settings. I know just what to do! Call up your local quilt shop that sells sergers and ask if they do a serger class or if they know any place that does one. Take the class. It’ll help you get started, teach you trouble shooting and more. Totally worth paying for a class. Hope that helps. You are not alone! So many people have told me the same thing. I went on youtube and watched some videos and realized it was actually easy to thread the one I have. Try watching a couple videos and perhaps there will be one on using your machine. Between my book and the video there was no problem figuring it out.